Empire of Books: Cover revealed for The Life Beyond! Last year, Susanne Winnacker's debut novel, The Other Life, was one of. Y favourite books I'd read! 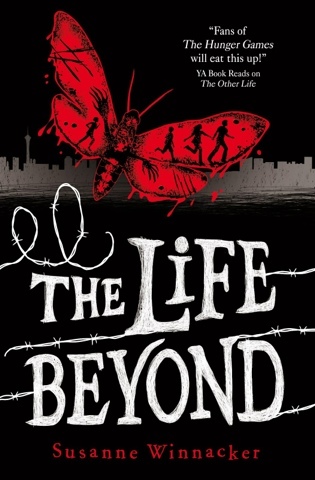 Released earlier this year, Susanne is now gearing up for the release of the second book, The Life Beyond, which is due out March 2013! And the countdown is officially underway right now, wight the release of the cover art! Amazing! Cannot wait to read it! Seems to me like its going to be another bestseller! The cover has a nice gothic touch to it. Great cover! I love how they flipped the colours of the first and that they fit each other.